Job interviews are rough – definitely a stressful event for all of us, especially if you’re applying for your dream job. Unfortunately, not everything in life goes as smoothly as we’d like to and we all do something embarrassing and cringe-worthy from time to time. 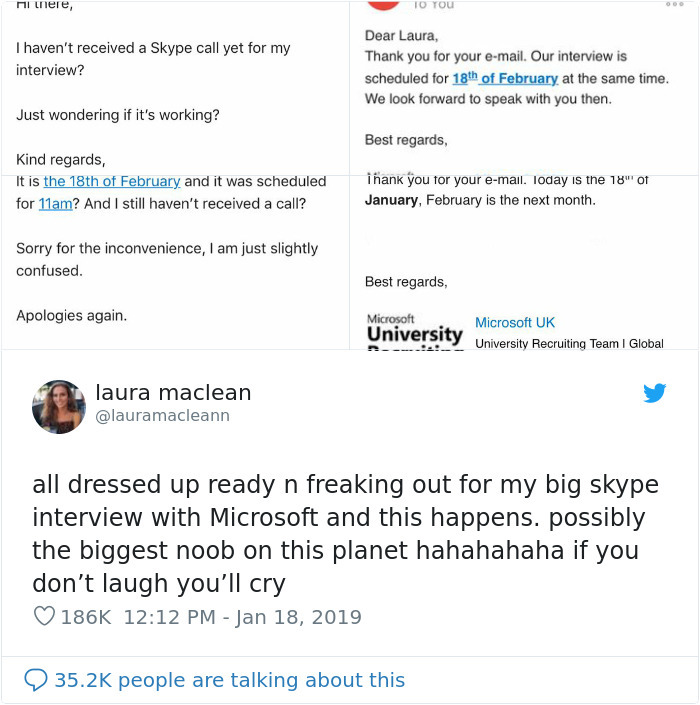 This 21-year-old student recently shook up Twitter with her interview hilarious mix-up. 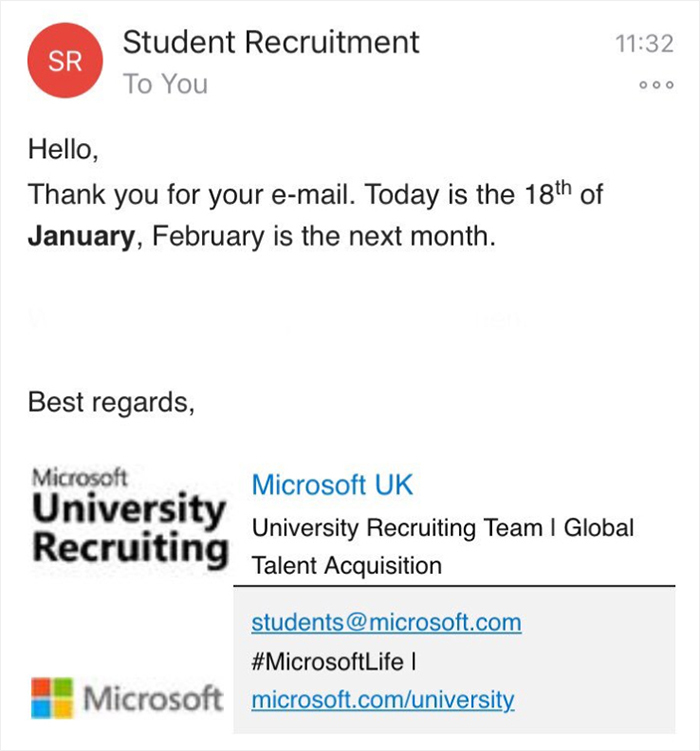 The applicant was invited to do a job interview for Microsoft on February 18th. But Laura was so eager to get the job – she decided to show up for it a little bit earlier. A whole month, actually. The team offers students a chance to work a full year for the company. 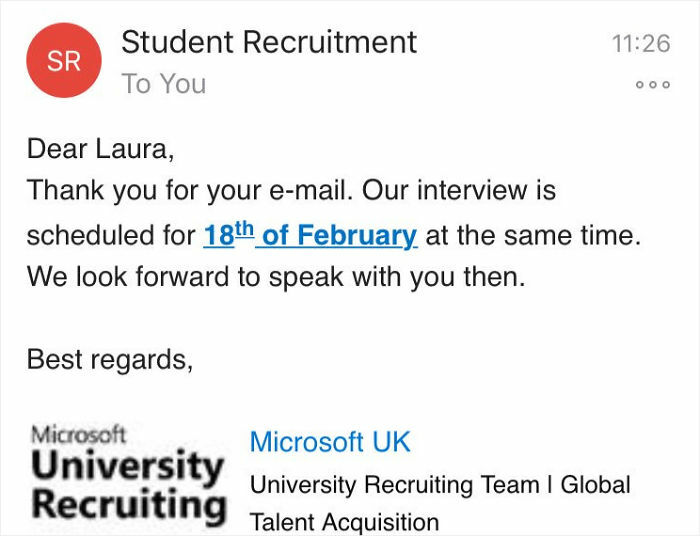 The Skype interview was scheduled for 18th of February. 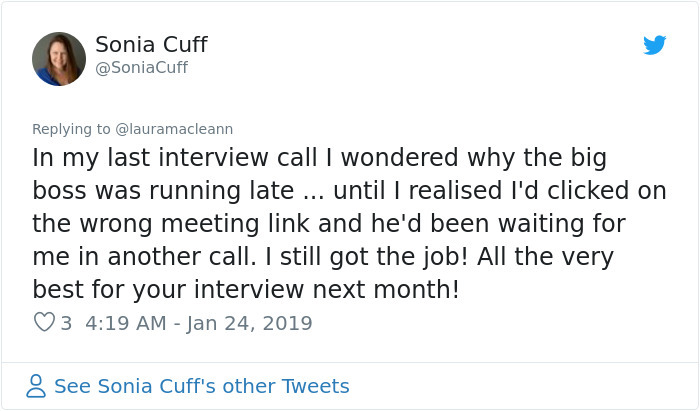 As Laura mentioned to the media, she was very eager to get this job. 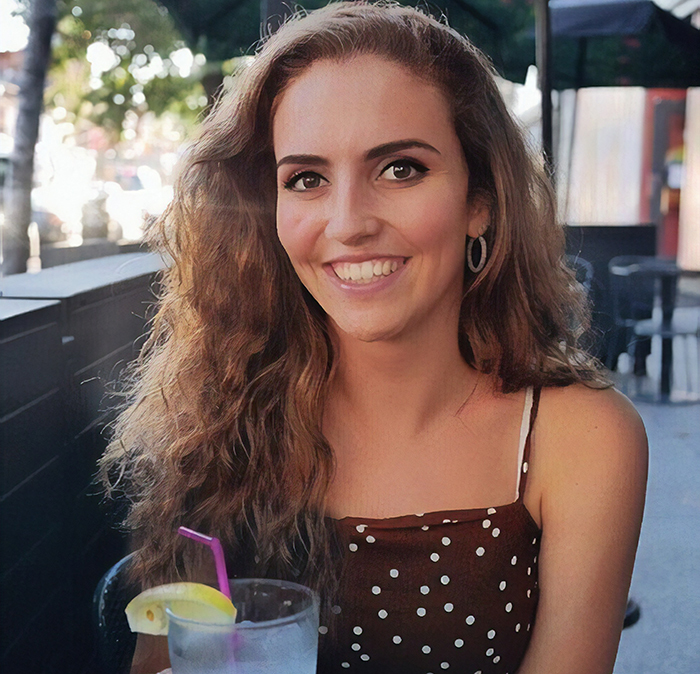 The student mentioned to the media that she’s a very organized person and had spent the morning of that day prepping herself for the interview. She even had mock interviews with her family, to feel even more prepared. 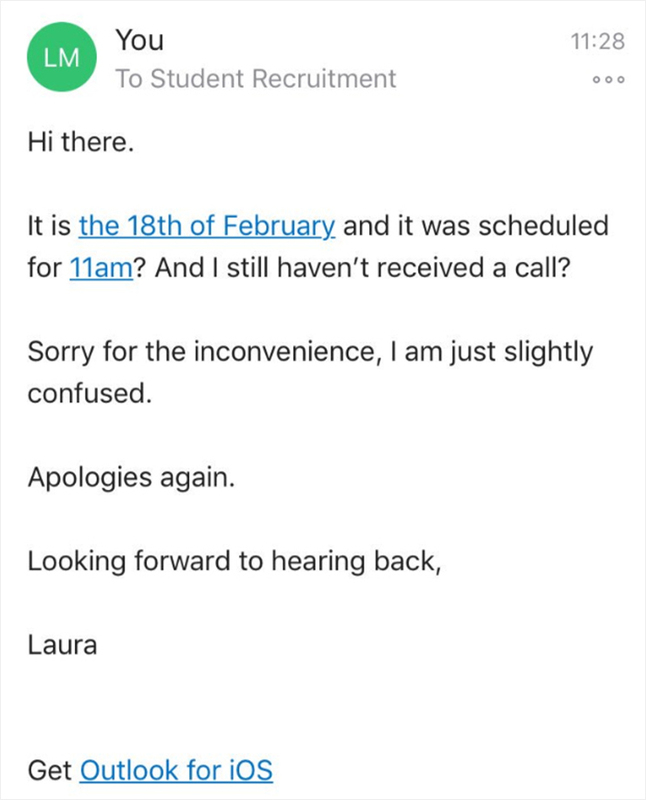 The interview was scheduled for 11 a.m., so when the clock turned to 11:15, Laura went into panic mode. 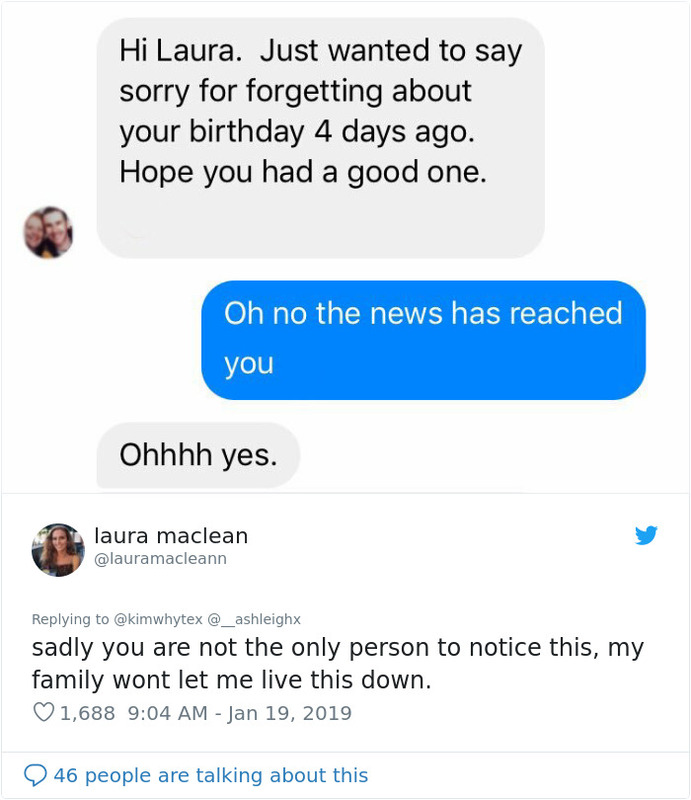 “What made it all worse was that my birthday is the 14th of February, so somehow I had managed to skip turning 22,” she said jokingly. 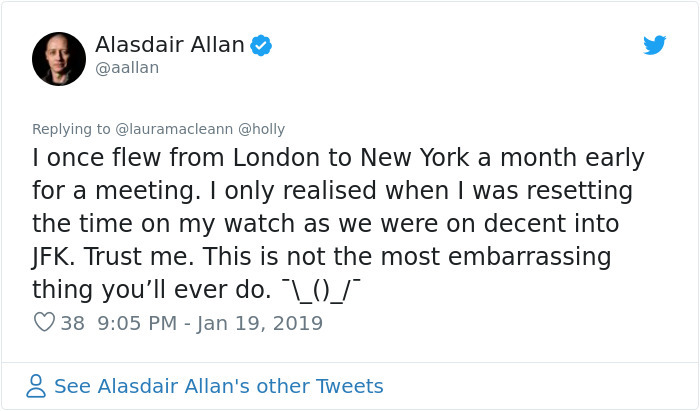 Laura’s now worried whether she may have accidental sabotaged her potential job opportunity: “I thought Microsoft would think I am an idiot. I quite frankly wanted to disappear into thin air. Hopefully, Microsoft will see the humorous side to this whole mix-up,” she added. 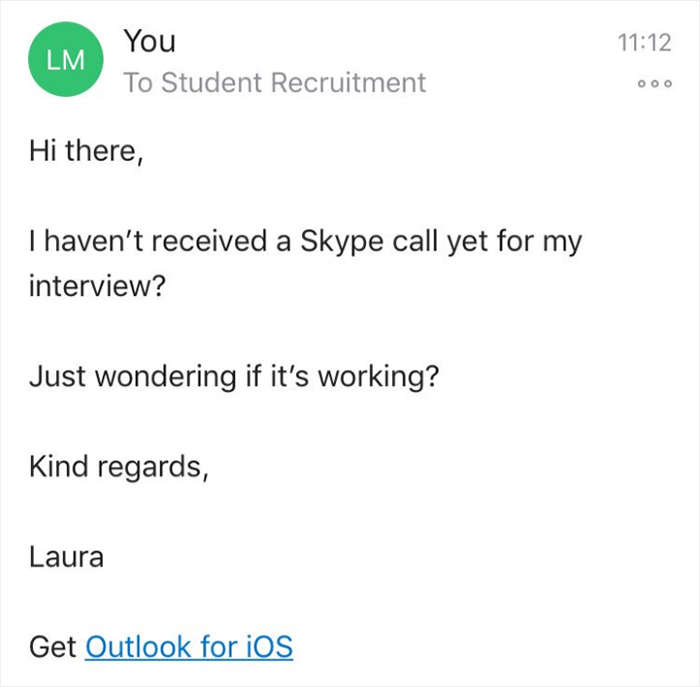 But no matter what the future may bring for this student, we’re all wishing the very best to Laura and we’re keeping our fingers crossed that she gets the job!